Today I am wearing one of their dresses and it is impossible not to love the minimalist and classic design. Leave a comment here with you complete name and email address. 2 easy steps and you are in! The last day to enter is: JUNE 3. I adore this combination! The shoes add even more fun to this look. Stunning outfit, I adore your dress and I love that you wore a mustard shirt over it. Your shoes are lovely and are the perfect addition. Very interesting outfit! 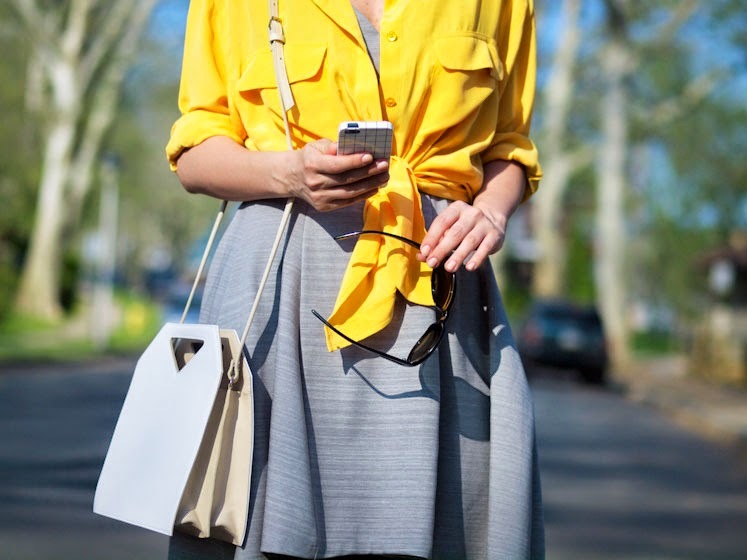 Your shirt and bag are just great pieces! Love your color and clothing combinations. hi, enter me, it is amazing! And the shoes are soooo delicious! There’s something about Obakki designs … and you wear this one very well! agirl [at] abv.bg Thank you! I usually don’t put my full name and email out… any chance I can just write Natalie Van…and do my natalie152 [at] gmail [dot] com? I was just looking at that dress on the Obakki website a few days ago. You did a great job of styling it and making it your own. This is a wonderful contest. Love your outfit and Obakki. Thanks for the Obakki giveaway!